Tuning in by checking out…. You are currently browsing the tag archive for the ‘restaurants’ tag. I made it to Relish yesterday. It opened in West Palm Beach, in the historic Northwood neighborhood. I can’t ignore a burger joint, so I made JP go there. I’ll be honest, though, the name makes me go ick. When I hear relish, I think of the gross green pickley stuff they offer up at hot dog stands. But once I made it to Relish, the green pickley image was gone. In place, an offering of burgers — shrimp, beef, lamb, turkey, wild boar, buffalo, lobster & more — that you can top with any ‘relish’ you’d like. My choice for the first-time test was a classic beef burger with the drunken onion relish — sweet onions slow cooked in beer. Along with the burger, they have fries (which come with one of their signature flavored salts, we chose truffle salt), craft beers, wine, wings and handcrafted milkshakes! The verdict: Two yums up! 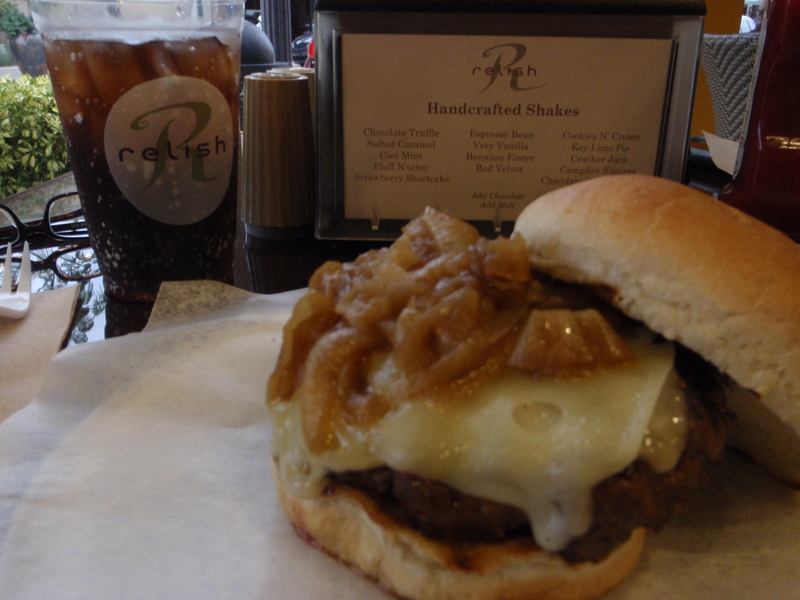 Check out Relish’s website and menu here. JPCK on Going once, going twice … sold? korinne on Going once, going twice … sold?